Volunteering changed his perspective. A scholarship from the Virginia Community College System (VCCS) changed his future. Armando Vega Jr. couldn’t be happier about either. The Miami native is a Valley Proteins Fellow, the VCCS’ most prestigious scholarship program that helps second-year students pursue their academic goals and strengthen their leadership skills. In addition to receiving full tuition, book expenses and fees, Valley Proteins Fellows participate in a unique curriculum of intellectual and cultural activities and volunteer for up to 80 hours of community service. Vega was one of 10 students selected from the 23 colleges in the VCCS. Vega initially earned 48 hours of credit at Florida International University with plans to transfer to American University in Washington, D.C. He didn’t have the resources to make that work, instead entering the military. While in the Navy, a buddy encouraged him to volunteer at Children’s Hospital of the King’s Daughters, where he has since amassed 250 hours of service. 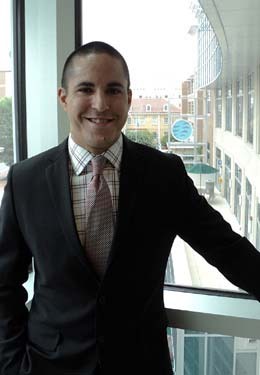 Taking a more disciplined approach to his academics, Vega began at Tidewater Community College in fall 2012 to work toward his Associate of Science in Social Sciences. He credits staff at the TCC Educational Foundation for helping him with the transition and continues to be inspired by his classmates. Vega will graduate in May 2014 with an eye toward transferring to Columbia University, the University of Chicago, the College of William and Mary or the University of Virginia. He plans to pursue his master’s in business administration with hopes of working for a multinational. As thrilled as Vega was with the financial part of the Protein Valleys program, he was equally excited about the leadership opportunities.